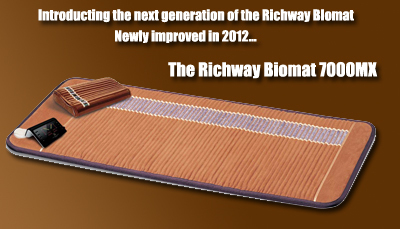 The Richway Professional Biomat was created specifically to fit on a healer's table. Massage therapists, dentists, chiropractors, doctors and acupuncturists all use tables that the Professional was made to fit. There are many professional uses for the Pro Biomat. The Professional Biomat uses the triple healing power of Amethyst, Far Infrared Rays and Negative Ions to create infrared rays that are transferred to the body as heat, resulting in many health benefits. The newest research of the Biomat's shows the human body is directly effected in a beneficial way. Athletes are finding that the Biomat gives them a definite edge and can replace expensive equipment like infrared saunas. If you are a professional healer of any kind, Richway offers $100 discount on the Professional Biomat or the Pro Package. Biomats can now be prescribed by doctors and recognized by insurance companies in some cases. Call for details. Now our veterans and active duty military can get $100 off on a Professional Biomat or Professional Package! The Professional Biomat emits Far Infrared Rays (FIR) that penetrate the human body up to six inches. FIR, discovered initially by NASA, are now being used in all kinds of healing treatments (saunas are the most popular) as thermotherapy, which has an extraordinary effect on joints and muscles as well as the circulatory system. In the latest research, infrared rays have been proven to provide relaxation and warmth similar to the heat that comes from the sun. The Pro Biomat also emits Negative Ions our bodies need to be healthy but are less and less abundant in our modern environment. Together with amethyst, these three elements provide the Triple Healing effects for which the Biomat has become famous and why professionals in many healing fields are taking notice of its muscle pain relieving ability, and relief from joint pain and arthritis pain, as well as its beneficial effect on local circulation. DD Form 214, WD AGO 53, WD AGO 55, WD AGO 53-55, NAVPERS 553, NAVMC 78PD, or NAVCG 553 required. Order below and someone will contact you to get your documentation. Since we appreciate what you do as much as we hope you will love the Biomat, Richway gives chiropractors, doctors, dentists, acupuncturists, massage therapists and all other types of healers a $100 discount on the Professional Biomat or the Professional Package. All you have to do is send us your license or certification. 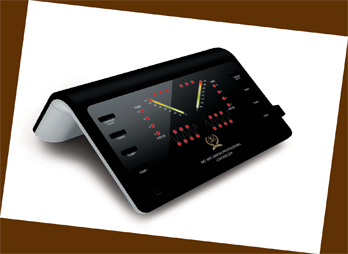 Though anyone can get enjoyment from a Professional Biomat, Richway designed it's Professional model for Professionals. Thinner in width than the Single sized Biomat, the Pro fits perfectly on a massage table, which means it also fits perfectly on tables for just about any kind of healer. While you want the warming effects of the Professional Biomat to heat your body, you don't want your head to get hot. The Richway Amethyst and Tourmaline Pillow is the perfect compliment to the Pro Biomat. The pillow keeps your head cool while the rest of your body gets the thermotherapy it needs. You can get the Professional Biomat and the Amethyst and Tourmaline Pillow together in what we call the Professional Package. Learn more or order your Pro Package now! Biomats can be prescribed by doctors so you can be reimbursed by your insurance companies. Most insurance companies recognize the Biomat as a real treatment for many ailments and diseases. Call us or email for details.